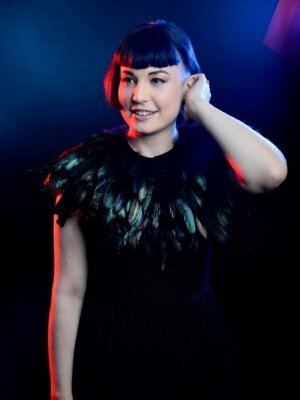 Bec Hill is an award-winning comedian, actor, writer, presenter and children’s performer. Bec can be found as a guest on the second series of “Dara O’Briain’s Go 8 Bit”, a judge on “Sam & Mark’s Big Friday Wind-Up”, and the voice of several characters in “Mass Effect: Andromeda”. She also appeared in several series of CBBC’s “The Dog Ate My Homework”, and starred in the Sundance UK Grand Jury Prize winning short film “Russian Roulette”. Her one-liners regularly feature in “best joke” lists by “reputable” sources like The Telegraph, Dave, The Guardian, The Independent, Daily Record and Buzzfeed, which isn’t surprising, as she is the creator of the UK’s only pun-based comedy night, Pun Run. She has also written for The Amazing World of Gumball, Bluestone 42, Dilemma, The Now Show and her first short animation directorial debut, “Scoring Pointes” aired with Disney in 2016. She is one half of the award-winning, critically-acclaimed family comedy double-act, Bec & Tom. Bec runs ‘Using Stand Up to Stand Out’ workshop. From entertaining 6 year olds in Hong Kong, to handling Stag Parties in Scotland, to interviewing celebrities at San Diego Comic Con, Bec has experienced every sort of audience there is. Using the same approach that comedians use to write material and deal with a variety of crowds, Bec will arm attendees with the skills and knowledge to overcome self-doubt and fear of the unknown.